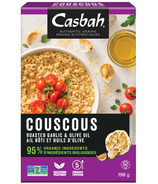 Casbah takes vegetarian recipes, perfected over generations, which provide benefits to health.Â The Casbah natural food line includes CousCous, Falafel, Tabouli, Saffroned Jasmine Rice, Tahini, Gyros, Baba Ganoush, and hummus.Â Casbah is produced and distributed by the Hain Celestial Group. 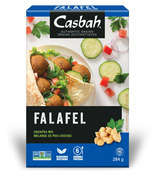 Casbah takes vegetarian recipes, perfected over generations, which provide benefits to health. The Casbah natural food line includes CousCous, Falafel, Tabouli, Saffroned Jasmine Rice, Tahini, Gyros, Baba Ganoush, and hummus. Casbah is produced and distributed by the Hain Celestial Group.